One of the goals of this website is to bring employers and qualified candidates for addiction jobs together. Another, very important, goal is to help those in recovery explore this career path and see some of the amazing opportunities that are available to them, largely, because they are in recovery from addiction themselves. One of those is being a Peer Support Specialist. The certified peer specialist is somewhat new in the behavioral health field, with certification programs starting in only 2001. Since that time, a majority of States have recognized the value of these programs and of hiring Peer Support Specialists to help others, either in a paid or volunteer capacity. As of the end of 2012, 36 States (see map below) had established programs that train or certify individuals for these roles. 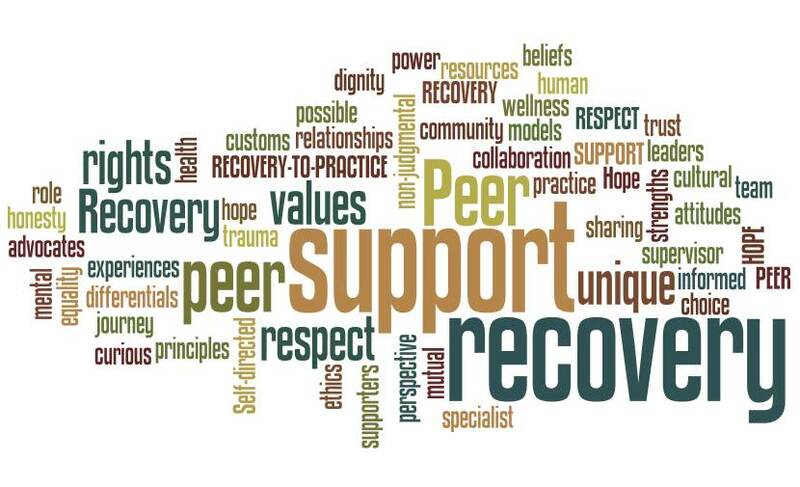 A Peer Support Specialist is a person who is in recovery themselves from either drug addiction, alcoholism or other mental disorder and is willing to self-identify to others as a “peer” and to work with others in order to help them recover. Isn’t this what we do in AA or other 12 Step Programs? Well, yes it is but now we’re talking about moving matters into the professional arena and those people always have “rules”. A Peer Support Specialist may work in a treatment center, a social services center, a hospital or other organization with a need. 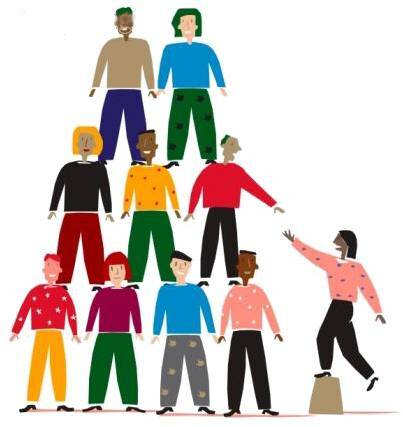 There are any number of tasks performed by peer support specialists, such as practicing new skills needed for recovery, monitoring progress, and being an advocate. What is unique, and exciting, about the Peer Support Specialist job is that the training required for certification is quite accessible not out of reach for most. The whole idea behind the program is that your life experience, particularly that of being in recovery, has provided you with expertise that all the professional training in the world wouldn’t be able to replicate. Certification requirements do differ by State and we have a pretty good outline of those different requirements in this report from the University of Texas. However, in most States the base Peer Support Specialist certification requirement is a 40-hour course. In some states, you may even be able to find these courses put on by public and non-profit groups. There are links to a few of these on this Wikipedia page under Training and Certification. 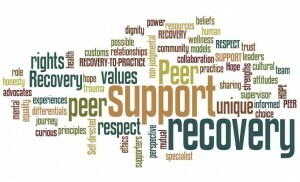 As stated before, many Peer Support Specialists work as part of treatment teams. They are not counselors but can assist in a lot of the day to day operations at a treatment center. I personally have quite a few friends locally that got sober in a treatment center here and went to work at the those same facilities not too long after. They didn’t have to go back to college to get an additional degree or sit for any boards to do it either. There are so many of these jobs out there and the need is tremendous. In fact the Veterans Administration employs over 800 peer specialists in it’s ranks. So, what’s it pay? That’s going to vary widely depending on your location and employer. The estimate is anywhere from $28,000-$62,000. It’s a wide range, I know. If you’re interested in pursuing this career path, the best suggestion is to start searching for jobs in your area to get an idea on salary and requirements. Being a Peer Support Specialist is a rewarding position for anyone in recovery and one that isn’t difficult to break into. I am 34 years clean from drugs and alcohol and I have a drug recovery class at the church I attend for 4 years now, plus I have a daughter that struggles with addiction too. I am not worried about being paid it is my way of wanting to reach out and help someone find a better way to live. I don’t have a High School diploma either. Excellent Nancy! – Please download that State by State guide that is linked from the article. That should give you some good direction for your area. Hi, my name is Keri, and I am a 34 year old mother of 3 daughters,2 that have been adopted within the last 7 months,i am also in recovery from addiction to crack cocaine and opiates.I have been sober 11 months on the 24th and I am living in a home for survivors of human trafficking victims.My absolute DREAM….IS to become a peer support specialist,can someone point me in the right direction on how I can get certified in Odenville,Alabama? I would like to become a peer supporter, but I do not know how to get started, can you help me get started please. I’m a mother of two grown kids. I’ve been wanting to work with women who have been abused. I’m a survivor of abuse in many ways. Its taken me many years to understand it wasn’t my fault. Over the years of counseling I’ve learned different way & tools to get through rough days. I’ve been wanting to help ladies who also have been abused with kids who has problems taking care of their kids. Women who needs someone to understand them. I’ve seen so many ladies who needs help knowing that they can successively raise their kids even if they have been abused in anyway. Kids didn’t ask to be here but, since they are they need to know that their parents are there for them always. I strongly want to help others learn the tools that I have. Can anyone please direct me in the right direction? I’m in the Central part of Virginia & I know I can help if I’m lead to the right direction.